The Big Game will be here before we know it and there’s no sense stressing over what to serve. Take a look below: ALDI and I have you covered with better-for-you snacks to please even the toughest critics! Disclosure: This post is brought to you in partnership with ALDI U.S. As always, I only collaborate with those brands that align with my mission here in the Shaw Kitchen. Thank you for supporting the companies that make Simple Swaps possible! I’ve discovered that the Big Game isn’t a day just for football fans to get together, drink beer and scream at the TV. No, not at all. Growing up without brothers and a dad who only cared to watch college football, you’d think the Big Game would have been nonexistent in our house. However, that’s far from the truth! You see, the Big Game was the day I remember my mom would let us choose the potato skins and mozzarella sticks from the frozen food section at the store and by 3 p.m. we’d be begging her to let us eat them! Point being, whether you’re a football fan or just a foodie, these viewing parties have something to offer everyone. While times have changed and I can’t remember the last time I craved a mozzarella stick, I can tell you I absolutely love hosting and coming up with the game-day menu! That’s where my friends at ALDI come to my rescue. You know from my post here (click this one if you’re new to the ALDI store model) that ALDI has a wide selection of tasty appetizers, snacks, treats, beer, wine and many better-for-you options, too! Busy shoppers can conveniently shop and save money on all their Big Game must-haves, like organic produce, fresh meats, dips, chips and more. Since we’re still mourning the loss of our favorite team (gosh, did you see the season-ENDING kick?? It’s still a very touchy subject at our house). This year we’ve decided to call our Big Game Sunday fiesta a “pre-party” to sample all the eats and treats we plan to make for the Big Game next year when our team finally shows up. Given that it’s been over 10 years since our team made it to the biggest football game of the year, I can imagine we’ll have people flying in from all over to celebrate this momentous occasion with us next year! I’m all for ‘the more the merrier’, however, I have to remind myself there’s a budget to keep in mind these days (we do have another mouth to feed, and to send to college! ), and great low prices are another reason to head to ALDI. Plus, if you’re looking to keep those resolutions strong during the snackfest, add some healthier fare to your spread, like these Spicy Cauliflower Bites below! 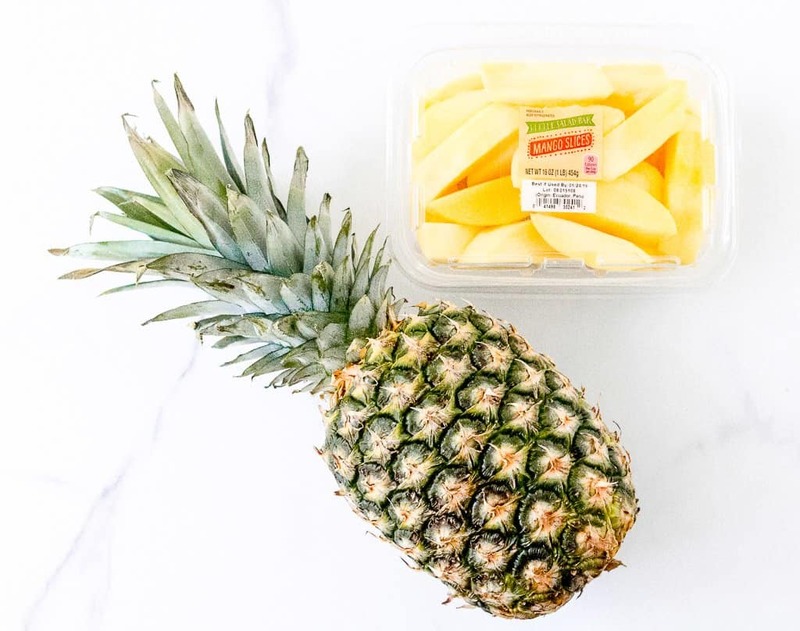 ALDI recently announced its largest-ever product expansion, which includes a 40 percent increase in fresh food selection, meaning hello produce party!!! If that wasn’t enough, one in five ALDI-exclusive products is award-winning, including the liveGfree line that earned the Good Housekeeping Seal! This means ALDI has more than 50 gluten-free products worthy of stocking up on for your Big Game party so all guests can enjoy the fun! 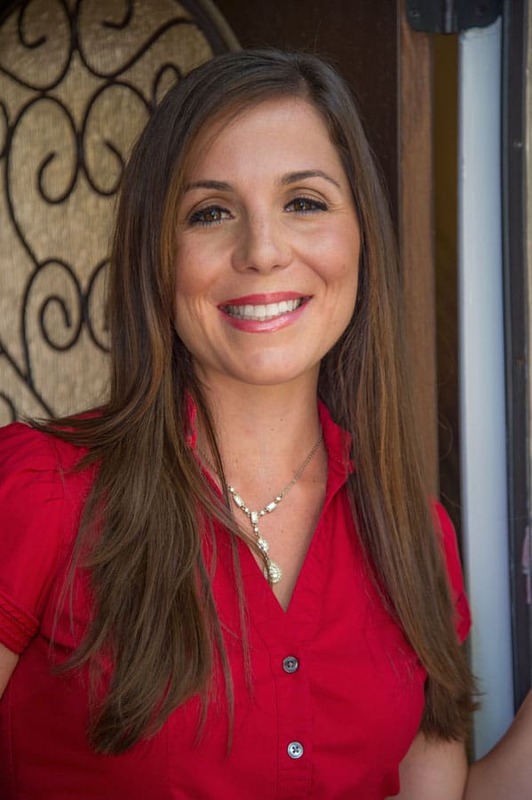 To leave you with a little list as you shop, here are my Healthier Big Game Swaps to enjoy! Swap the sour cream for Greek yogurt. Whether you’re making my DIY Ranch or the ALDI Avocado Jalapeño Ranch Dip, amp up your protein and lower the total fat by using Greek yogurt! 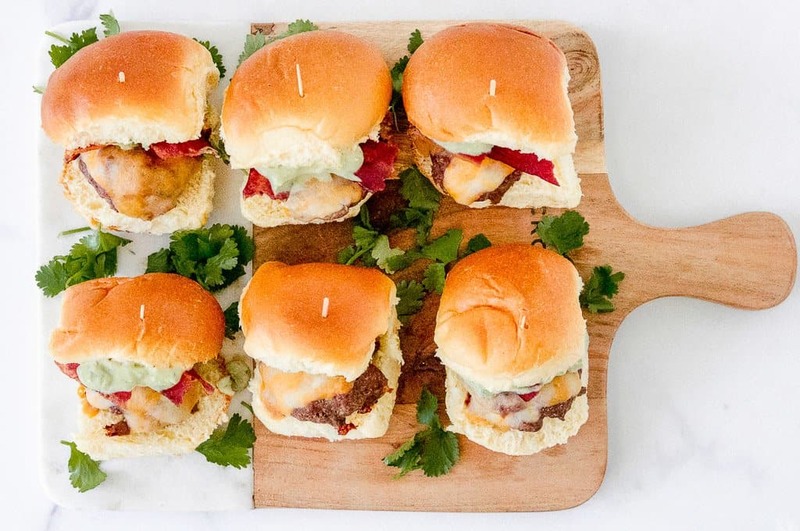 Swap out the red meat for a lean turkey or chicken, like these Game Day Sliders or Buffalo Chicken Meatballs! I didn’t say don’t snack, did I? Nope, but instead of a table full of chips, try adding more nutrient-dense choices, like Baked Potato Skins loaded with veggies. Pile up the produce! 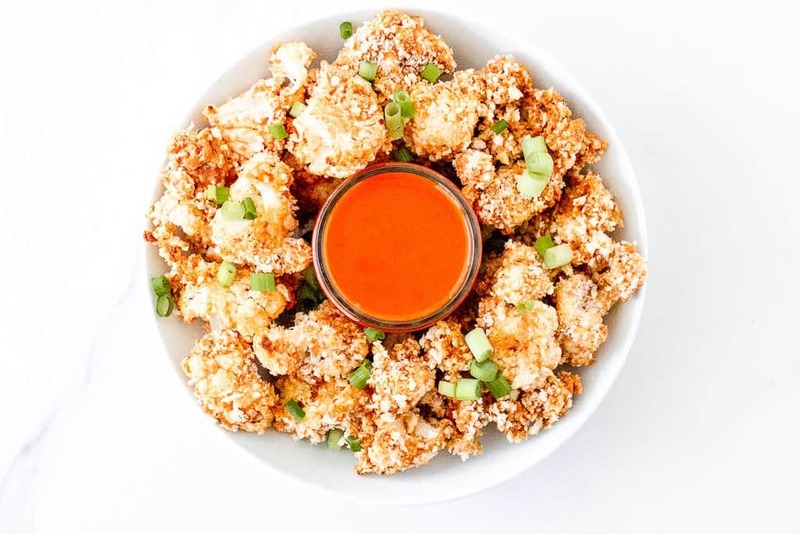 My Cajun Cauliflower Bites are the perfect addition to the snackfest, alongside the wide assortment of organic produce and convenient ready-to-eat foods like sliced fruit, ready-made salads and more for all dietary needs and restrictions. 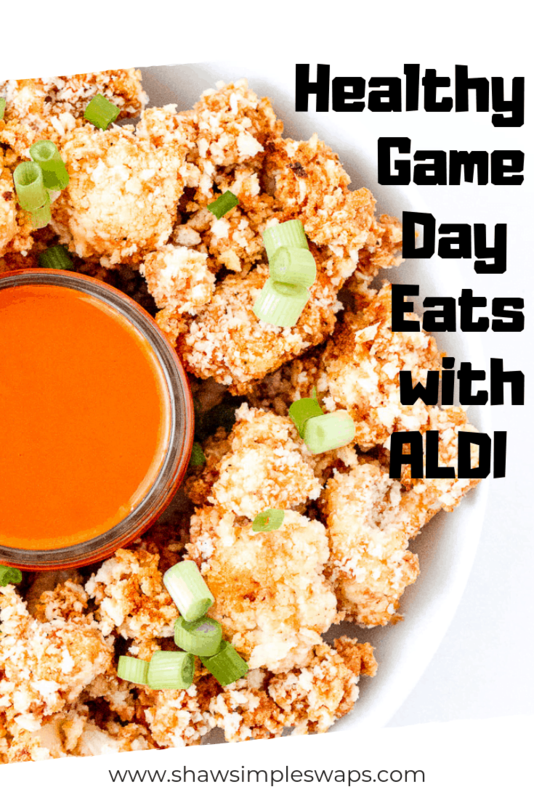 See how ALDI is your go-to shop for your better-for-you game day eats?! To find your local ALDI, click here to search your location! And for more information, be sure to visit aldi.us to take advantage of better-for-you recipes so you can enjoy a stress-free Big Game Sunday! Be sure to share your own recipes, photos, tips and tricks using the hashtag #ALDILOVE on social media too! Now, let’s chat! What’s your favorite Big Game snack?